The Wellcome Trust Centre for Human Genetics is a human genetics research centre at the University of Oxford, funded by the Wellcome Trust among others. 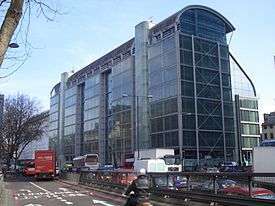 The centre at the Henry Wellcome Building of Genomic Medicine cost £20 million and was officially opened in June 2000 with Anthony Monaco as the director. ↑ Farrar, Steve (23 June 2000). "Vanguard digs deep into data at Oxford". 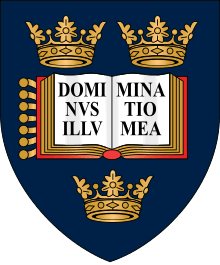 Times Higher Education. Retrieved 19 December 2011. ↑ Ramagopalan, S. V. (2008). "Life on top—working@ the Wellcome Trust Centre for Human Genetics: Scotland Yard for DNA detectives". New Biotechnology. 25 (1): 39–45. doi:10.1016/j.nbt.2008.04.007. PMID 18504015.